Though Stephen Colbert did not initially aim to work in comedy, his time with improvisation troupes in Chicago changed his course. 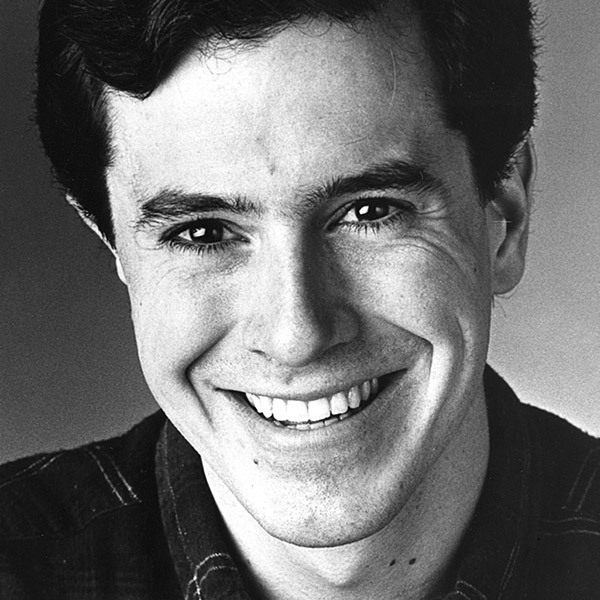 After performing with his Northwestern improv team No Fun Mud Piranhas around Chicago, a cash-strapped Colbert took a job at The Second City box office in 1987 answering phones and selling merchandise in exchange for free classes. He was good at both–in fact, Colbert held a longtime record for most t-shirts sold in a single day. Colbert joined The Second City Touring Company and later began performing at Second City Northwest in 1991 alongside Nia Vardalos, Ian Gomez, Jackie Hoffman, Paul Dinello and Amy Sedaris in the revues Ku Klux Klambake and Destiny and How To Avoid It. Colbert moved to Second City’s e.t.c. stage for Where’s Your God Now, Charlie Brown? The Mainstage in 1993 for the 77th revue, Take Me Out To The Balkans, which also starred Sedaris and Steve Carell, before his final show at Second City, Are You Now, or Have You Ever Been Mellow?, which again teamed him with Carell. After his tenure at Second City, Colbert worked with fellow alums Sedaris and Dinello to create the HBO series Exit 57, which was nominated for five CableACE Awards. The team also created the show and subsequent movie Strangers with Candy. Colbert continued to work in television, with writing and acting credits at The Dana Carvey Show, Saturday Night Live, and The Chris Rock Show. Colbert was a correspondent and writer for The Daily Show from 1997 through 2005, winning three Emmy Awards for Outstanding Writing for a Variety, Music, or Comedy Program. His character “Stephen Colbert” got his own spinoff, and The Colbert Report on Comedy Central went on yield 23 Emmy nominations and six wins. In 2014, Colbert succeeded David Letterman and took over the late night reigns of The Late Show on CBS. The Late Show with Stephen Colbert employs several fellow Second Citizens, including Brian Stack, Ariel Dumas and John Thibodeaux. His hosting duties have extended to the Emmy Awards and The White House Correspondents’ Dinner.